There are two versions of D language till now: D version 2 is used for new programs and D version 1 is used for maintenance code. 2) GDC – It was developed using the source code of DMD compiler. 3) LDC – This compiler is based on DMD front end. To execute the D program, we need windows installer. Then downloaded executable is run to install D. Now the d file can be build and run. The program can be run by below commands: C:DProgramming> DMD firstprogram.d Here firstprogram.d is the file containing the source code. The output of the above programming is Hello World. Both single line and multiline comments are allowed in D language. Single line comments start with // and multiline comments are written within /* */. 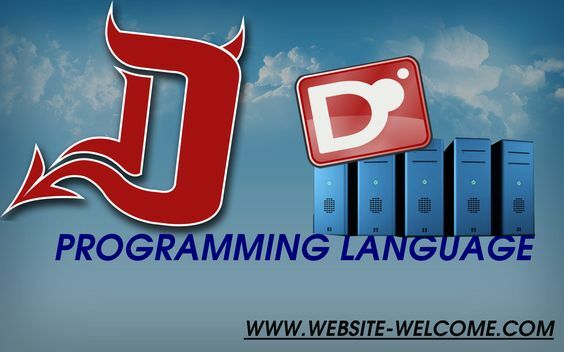 D programming language is case sensitive language. Here in D language variables with names time and Time are different. Whitespaces including blank lines, spaces and tabs are ignored in D program. Lvalues and Rvaues in D language: 1) Lvalue – It can appear on either side of assignment operator. 2) Rvalue – It can appear only on the right side of the assignment operator.